Body Transformation: Finding Fitness Through Turmoil! Charlie survived a car accident that should've claimed his life and watched his grandfather defeat cancer. The bedlam kickstarted his workouts and put life in perspective! I was never really motivated to go to a gym. I played soccer most of my life and was dedicated to it until I was in a car accident on St. Patrick's Day night in 2011 with my family. I suffered severe injuries from my knees to my hips. A few weeks later, I was told my soccer career was over. After the bad news, I underwent intense physical therapy for months and regained most mobility and motion in my legs, but not fully. A month later, I was cleared to play some type of sport, so I chose bodybuilding. My dad recommended I join a gym earlier, but I wasn't interested until then. 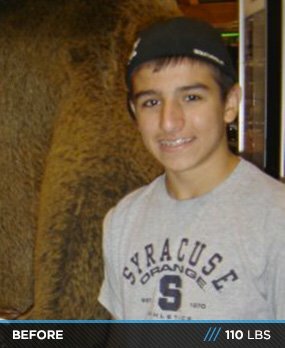 I was 110 pounds when I first started as a weak and frail high school freshman. I went all in with nothing to lose. That brings me to the present day, and I'm more dedicated than ever. It's a blessing. When I started training, I said to myself, "Charlie, we need to be bigger and better, and we need to be more knowledgeable than everyone else. How can we do this?" I went to work. I trained intensely, read anything to help me succeed, and found Bodybuilding.com where I came across Dorian Yates (six-time Mr. Olympia). I said, "Oh my God, I want to have a physique similar to Dorian's, if not better!" When I read all I could about his training and nutrition, I copied it down to the last detail. The past few years were tough. I wanted to quit; I wanted to cry; I wanted to be a different person. 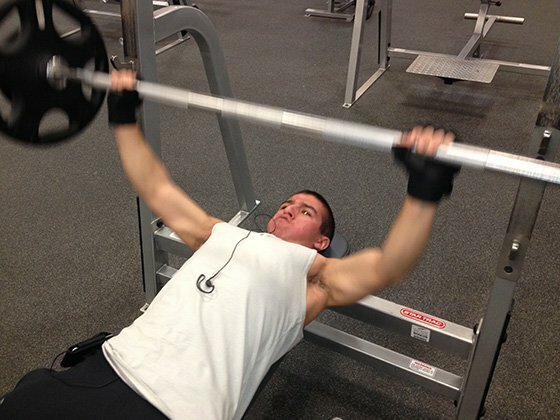 With the help of my family, I became stronger mentally and physically. I was able to become more powerful than I ever thought I could be and it's all thanks to them, and my dad's parents who are no longer with us. They made me smile and push through my boundaries every day. My two main inspirations are my friend, John Habeeb, who taught me to never give up on my goals, and my 82-year-old grandfather who battled prostate and bladder cancer and is now a cancer survivor. Watching him every day with a tremendous will to survive was incredible. Even at his lowest point, he looked at the bright side. I held his hand when he was in pain and I told him, "I'm here, I'm going to take care of you." I promised to honor him, become a bodybuilder, and be the best I could. I haven't disappointed him. I will never stop getting better. When you allow yourself to be held captive by your own fears, you've lost the battle. It's not a diet plan, it's a healthier lifestyle for me in the short and long term. I usually eat 5-6 meals per day. If you follow this meal plan, drink 5-6 liters of water per day. 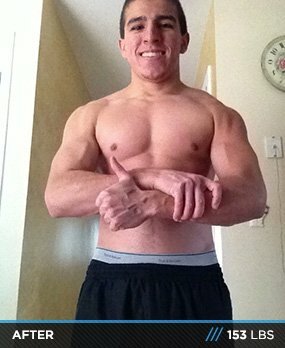 On June 1, 2013, I will enter my first bodybuilding competition. When I turn 18 years old, I will obtain my personal training certification any my accounting degree from Hofstra University. The sky is the limit when you live this lifestyle. I truly believe it. Stay focused. When you focus on your goals, you will not be taken off the path. Be the best you can be. Up until my car accident, I was a slacker and avoided doing what I should have been doing. After the accident, my perspective on life completely changed. You only have one life. That doesn't mean go out drinking every night, partying, or being a tough guy. It means you have one life to be the best person. For those already on the fitness path, keep working hard. Never give up on what you want, even if people don't see the dream you see. You need to be the person who proves the doubters wrong. 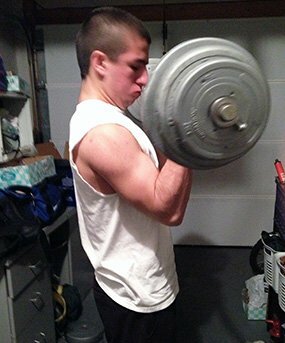 Bodybuilding.com, the forums, the training programs, BodySpace, the supplementation programs, and the tools helped me reach success. I wouldn't be here without Bodybuilding.com. The site is a blessing in itself with great inspiration and guidance. Take advantage of it.